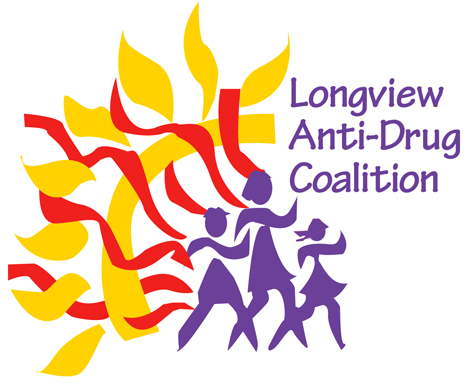 Mission Statement of Longview Anti-Drug Coalition: to reduce alcohol, tobacco and other drug use by mobilizing and empowering youth and adults residing in Longview. Vision Statement of Longview Anti-Drug Coalition: to reduce alcohol, tobacco, and other drug use by educating, mobilizing, and empowering youth and adults residing in Longview, Washington. Longview citizens are invited to call and learn about current projects that the Longview Anti-Drug Coalition (LADC) is working on. LADC meets the 3rd Thursday of each month at Youth and Family Link. COWS Project is a Social Norms Project of LADC. It was started as a tool to help reduce underage drinking. COWS were crafted out of plywood and sponsored & painted by area businesses and youth. Read more about ~ COWS Project. Social Norms - There are Prevention Clubs at both Mt. Solo and Cascade Middle School which are part of the work plan of the Longview Anti-Drug Coalition. Find out more information about The Social Norms Let's Draw the Line Campaign, the Mural Project and Challenge the Grim Reaper. Let's Draw the Line - LADC went to 10 different stores in Longview and conducted what are called Community Assessment of Neighborhood Stores(CANS) surveys. The surveys look at how stores advertise, market, and merchandise alcohol and tobacco in their stores, and if it is done in a youth or family-friendly way. Mural Project - LADC was looking for a way to spread the 'Let's Draw the Line' campaign. It was decided that if we wanted to make a "permanent" impact we should have something that could be very recognizable as a vehicle to get the word to the community. It was decided to have a mural painted that would be a reminder to the community to "Draw the Line" between youth and alcohol as well as illegal drug use. Challenge The Grim Reaper - This program was a collaboration between the 'Every 15 Minutes' campaign of the Cowlitz County Sheriff's Department and the Cascade Middle School Prevention Club. Retailers Education with Washington Liquor Control Board - The first Tuesday of each month LADC along with the Liquor Control Board (LCB) hold a class to educate retailers and servers on responsible serving. Retailers and servers are taught what to look for in a patron that should not be served, also the proper way to 'card' an individual. Servers and/or Retailers that receive(d) a ticket or violation from the LCB can get the fine reduced by taking this class. This is a good partnership for LCB and LADC in the promotion of responsible serving and selling of alcohol. Attendees receive a certificate for completion of the course. Smoke Free Parks- LADC in cooperation with 'Cowlitz On The Move' successfully launched a campaign to keep smoking away from parks within the City limits. LADC volunteers canvassed the park and asked for anonymous surveys to be taken by citizens as to whether they wanted smoking in the parks or not. The overwhelming response from Longivew citizens was to make all City parks completely smoke free. The survey results as well as other information such as 'Letters to the Editor' in The Daily News resulted in Longview City Council's adoption of a Smoke Free Parks policy. See Smoke Free Parks Policy. Did you know that 57% of Cowlitz County youth ages 12 to 17 years old said obtaining marijuana would be easy?